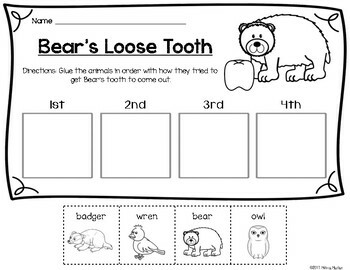 This FREEBIE is a great complement to your Dental Health unit. 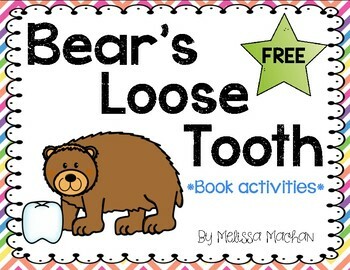 You will find some quick, fun activities to go along with the picture book: Bear's Loose Tooth by Karma Wilson. 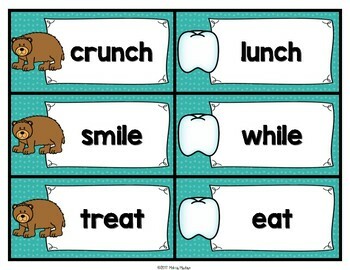 Students will be sequencing, finding rhyming words, responding to reading, and making personal connections. 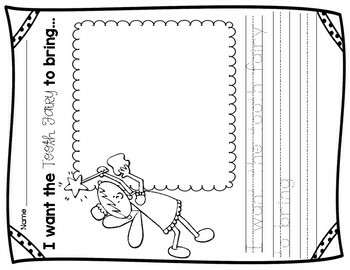 Don't forget to follow my store so you will know when I add new products and freebies.